CardSupply Nederland’s high-quality ribbons are designed specifically for use with ID Card printers. The CSN printer ribbons ensure you’ll get superior card results each and every time consistent, high-quality images whether you’re printing in color or black & white. € 395,00 € 477,95 VAT incl. € 102,00 € 123,42 VAT incl. € 118,50 € 143,39 VAT incl. € 18,00 € 21,78 VAT incl. € 108,00 € 130,68 VAT incl. € 150,00 € 181,50 VAT incl. € 260,00 € 314,60 VAT incl. € 56,00 € 67,76 VAT incl. € 59,00 € 71,39 VAT incl. All ScreenCheck ID Card Printers have HoloKote as a built-in card security feature, which prints a secure watermark on your ID card’s surface. 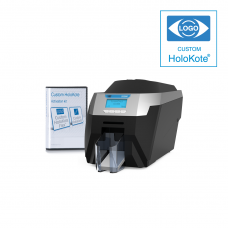 The Custome Holokote Kit (setup & supply) that can be used with the SC6500 ID Card Printer offers theoption of customising this watermark to your organisation’s unique logo or security design, tiled or stretched across the card. 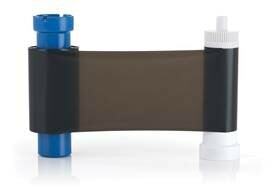 ScreenCheck Printer Ribbon YMCKO is a high-quality ribbon designed specifically for use with ID Card printers. The Full Color (YMCKO) color dye film let you print 300 superior colored images on ID cards. The ribbon is used to print in a variety of colors: yellow (Y), magenta (M), cyan (C), and black (K). The remaining overlay (O) provides an extra layer of protection for the card. This ribbon is used to print text and full color images on one or both sides of the card. The ScreenCheck ID Card Printer Ribbon YMCKO is compatible with the ScreenCheck ID card printers SC2500, SC4500 and SC6500. 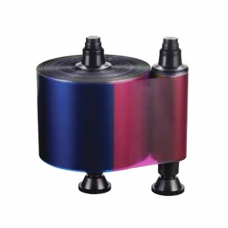 ScreenCheck Printer Ribbon YMCKO is a high-quality ribbon designed specifically for use with ID Card printers. 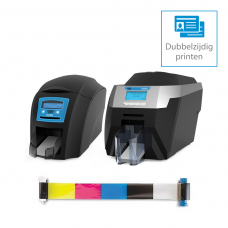 The Full Color (YMCKOK) color dye film let you print 250 superior colored images on ID cards. The printer ribbon uses yellow (Y), magenta (M), cyan (C) and black(K) on the front of the card and black (K) on the back of the ID card. This ribbon also uses a protective overlay to ensure your imagery is kept in top condition. The ScreenCheck ID Card Printer Ribbon YMCKOK is compatible with the ScreenCheck Dual-sided ID card printers SC4500 and SC6500. 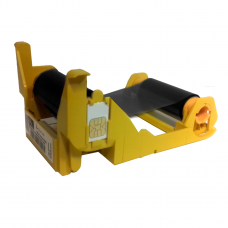 ScreenCheck Printer Ribbon Black is a high-quality ribbon designed specifically for use with ID Card printers. 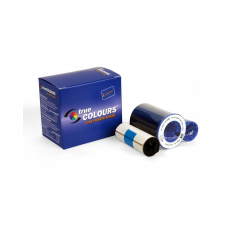 The Black dye film lets you print 1000 superior monochrome images on ID cards. The ribbon is used to print black (K). This ribbon is used to print text and monochrome images on one or both sides of the card. 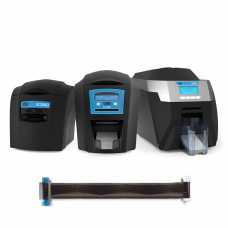 The ScreenCheck ID Card Printer Ribbon Black is compatible with the ScreenCheck ID card printers SC2500, SC4500 and SC6500. This YMCKOK printer ribbon is suited for the Evolis Quantum II printer. The ribbon can be used to print a two-sided card while using just one image when the card is printed with a color front and black rear side. The overlay panel will ensure a durable end result. The capacity of the ribbon is 500 images. 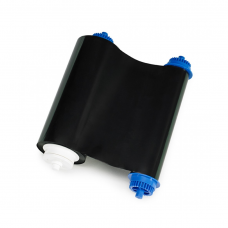 The Zebra Printer Ribbon ZC10L Black is used to print monochrome on extra large plastic cards. The black ribbon is ideal to quickly print names of participants and other variable data on to your large PVC cards on location at an event. Ribbon contains 2,000 prints and is only for use with the Zebra ZC10L Large-format Card Printer. 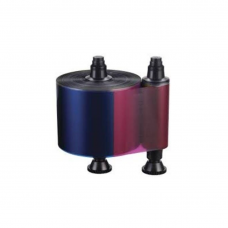 5 Panel (YMCKO) Color Zebra Ribbon contains 1 ribbon and 1 cleaning roller with 200 Images/roll. The ribbon is used to print in a variety of colors: yellow (Y), magenta (M), cyan (C), and black (K). The remaining overlay (O) provides an extra layer of protection for the card. This ribbon is used to print color on one or both sides of a card. This ribbon is compatible with P330i Zebra Card Printer. Zebra ZXP Series 1 Ribbon Black provides texts, barcodes and logos with high print quality. The ink ribbon is equipped with Zebra Load-N-Go technology. 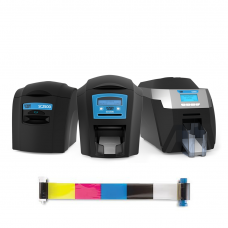 The easy-to-use ZXP 1 ribbon Load-N-Go ribbon cartridges use intelligent media technology for automatic ribbon detection, optimized imaging, and a low ribbon warning. Placing is simple, the ribbon is immediately recognized. Capacity of approx. 1000 cards and has an integrated cleaning role. 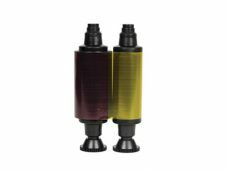 Zebra ZXP Series 3 Ribbon Black provides texts, barcodes and logos with high print quality. The ink ribbon is equipped with Zebra Load-N-Go technology. 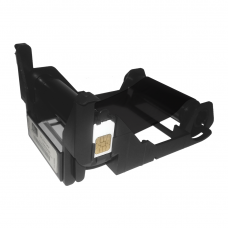 The ZXP 3 Load-N-Go cartridges makes it easy to load and replace the ribbon. They use intelligent media technology for automatic ribbon detection and optimized imaging. Placing is simple, the ribbon is immediately recognized and you are warned at a low ink level. ZXP Series 3 ribbons come in standard and high-capacity, as well as both multi-panel and monochrome options. Capacity of approx. 1000 cards and has an integrated cleaning role.